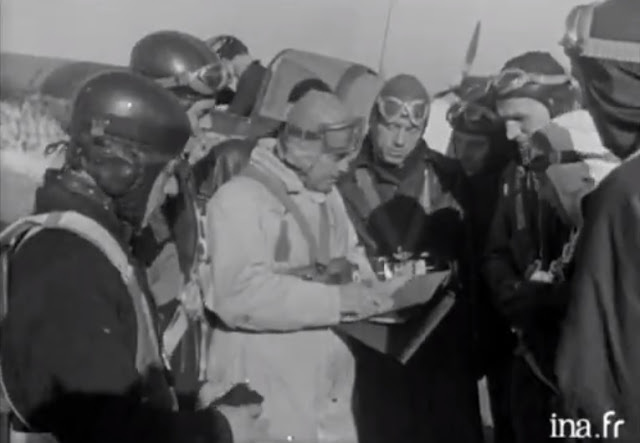 Screen captures from rare ina.fr footage depicting Dewoitine test pilot and pre-war aerobatic champion Marcel Doret - here briefing his pilots in the lighter overall - leading a small unit of Free French Dewoitine D.520-equipped pilots supporting the assault on German 'Atlantic pockets' following the liberation of France during late 1944. 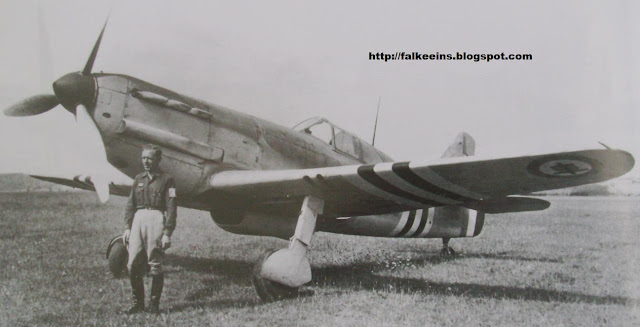 Established as early as July 1944 'Groupe Doret' was a FFI fighter unit (Forces Francaises de l'Interieur) formed in south-western France at Tarbes-Ossun ( an 'escadrille' under former Morane Saulnier chief pilot Cliquet) making use of stocks produced for and abandoned by the retreating Germans. 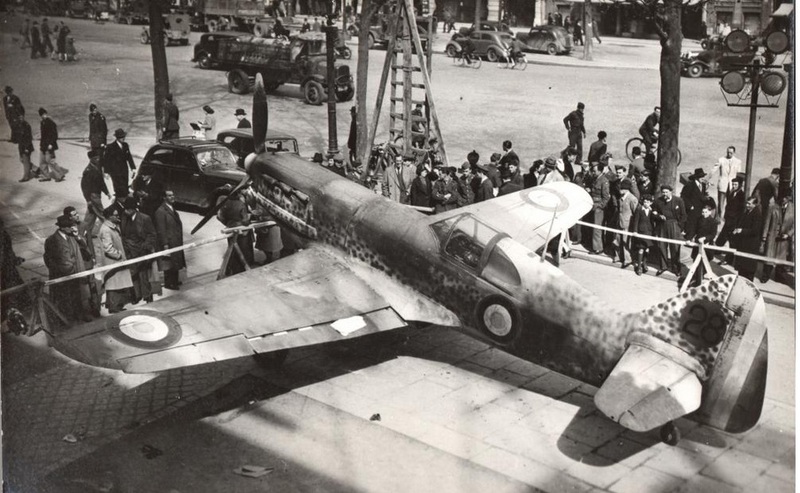 In Toulouse especially stocks of some forty machines were hangared and these could quickly be made flight worthy. A second 'escadrille' was thus established at Blagnac under SNCASE chief pilot Galy (Duny and Cuny 'Le Dewoitine D.520'). 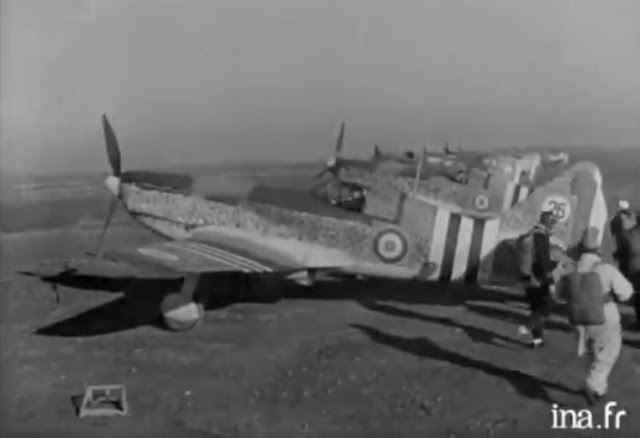 Apparently Cliquet flew the first sortie on 24 August 1944 in D.520 No. 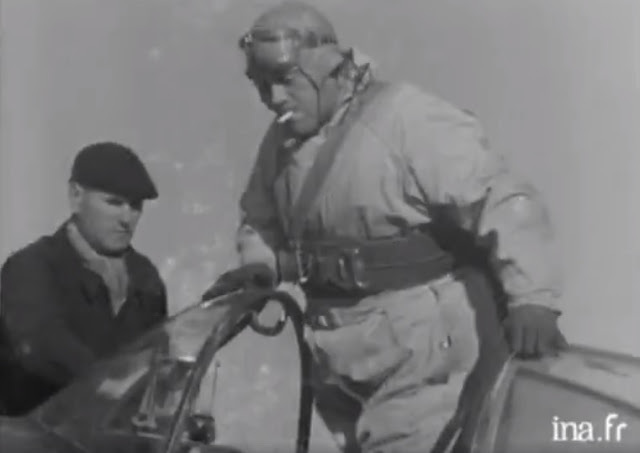 526. While these machines had no aerial adversaries to contend with their missions consisted of training and recce flights as well as attempting to 'neutralise' German flak positions in and around the 'Atlantic pockets' where large contingents of German forces were holding out. 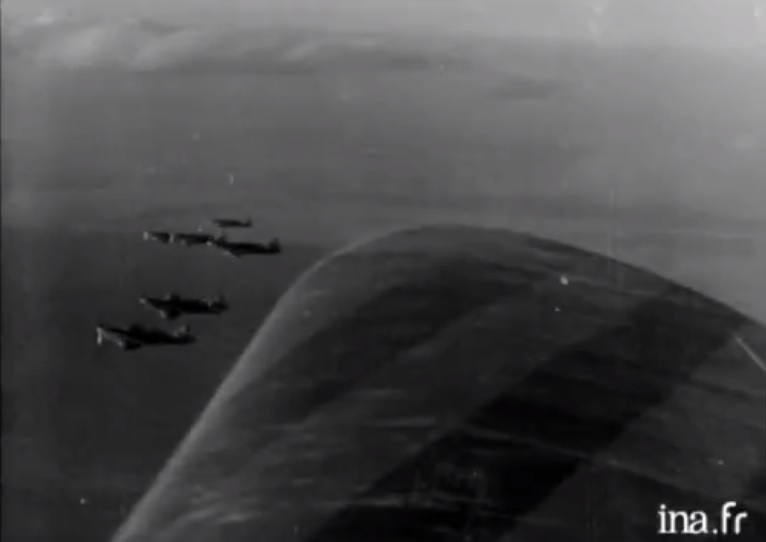 Between 16-19 October the Doret D.520s escorted Dauntless dive bombers operating over Royan and la Pointe de Grave. 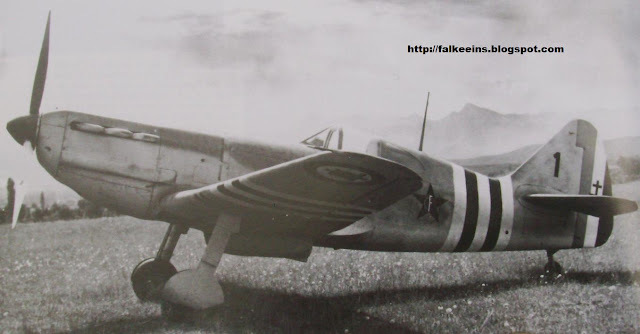 The first Dewoitine D.520 fighter constructed for the French resistance was this machine coded '1' delivered to the 1st Groupe de Chasse 'Doret', a unit established by the 'resistance forces of the interior' (FFI) in the Toulouse region. Both the SNCASE (Dewoitine) and the Morane-Saulnier factory at Tarbes had been manufacturing D.520s for the Germans since 1943, but following the Allied landings in southern France (Provence) during August 1944, Morane Saulnier diverted construction to the newly established GC 1 of the FFI. 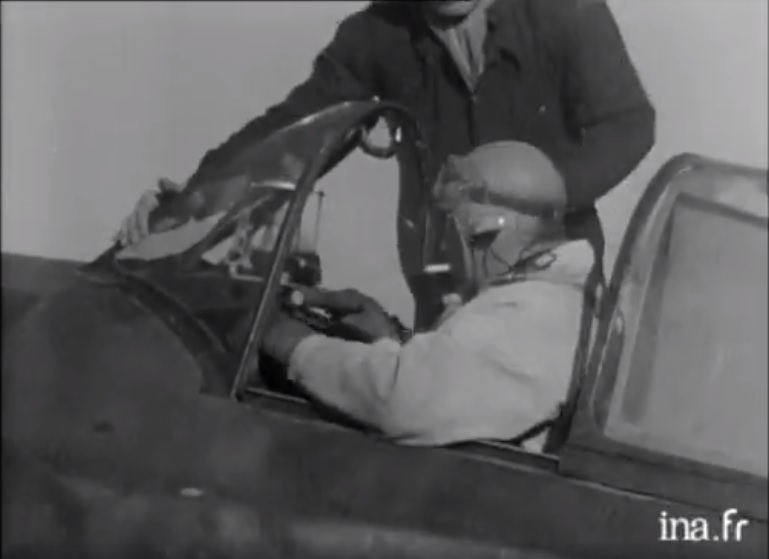 The pictures were apparently taken on 24 August 1944 and the pilot seen in front of the aircraft at Tarbes-Ossun below is capitaine de réserve Jean Cliquet. 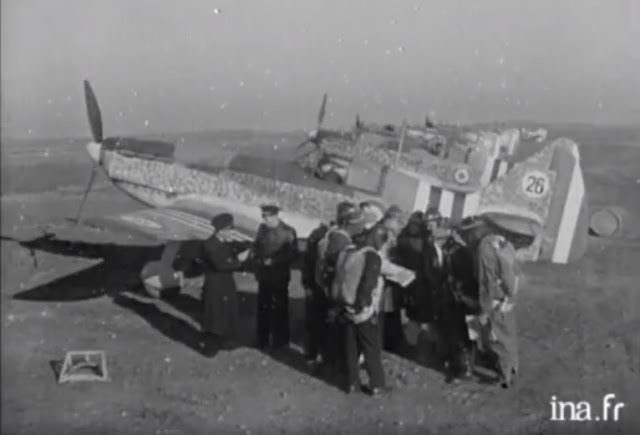 Note the cross of Lorraine on the rudder and the wing roundels.